I re-glued mine a couple weeks ago and made a youtube video of it. Thank you. 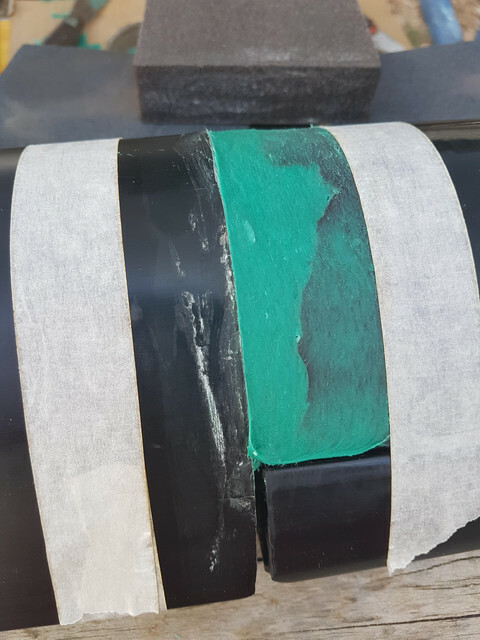 Very useful I guess is a good idea follow Mat's piece of advice to tape the guide to prevent epoxy or Bondo coming off. Hello every body, finally y joined the mast. It hapened something strange though. The alluminium hole is deeper than de comp tip extreme that gets inside. More than 1 cm deeper. 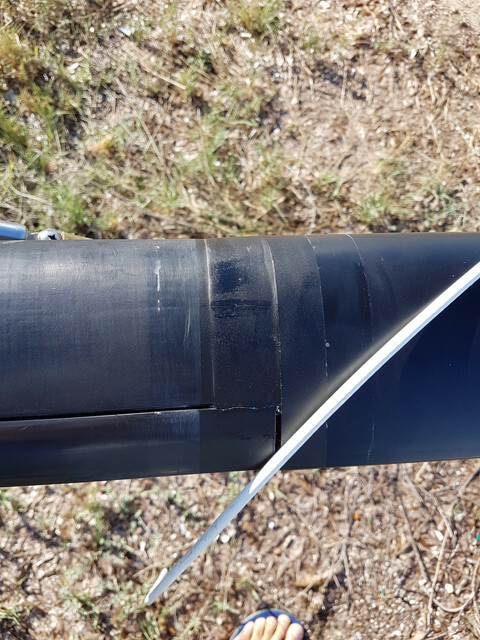 We introduced a wood piece with the shape of the comp tip mast to recude the gap inside, I used the equivalent of a fiber reinforced bondo and it looks prety good. It had a lot of play before and now it looks solid as one piece mast. Tomorrow I will finish sanding and paint. 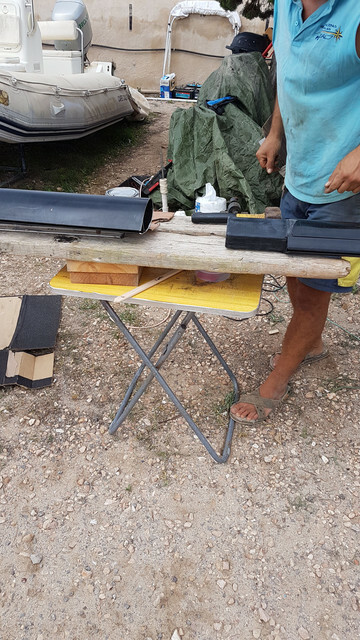 It wasnt until yesterday I could glue the mast. I used a fiber reinforced bondo. The final job as you can see in the pictures looks pretty good but the result not so much. 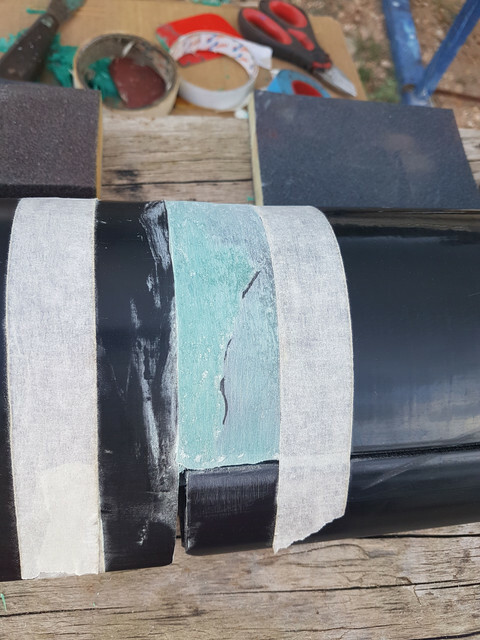 I went sailing today in 12 to 15 knots, flying hull, etc... and the reconstructed bondo come off after a while (see picture) I dont know if the mast is still glued because is still up om the hobie. Anyway in my opinion problem is that the alluminium hole where you insert the comp tip is deeper than the extrem of the com tip you introduce in it. By 1,2 cm. 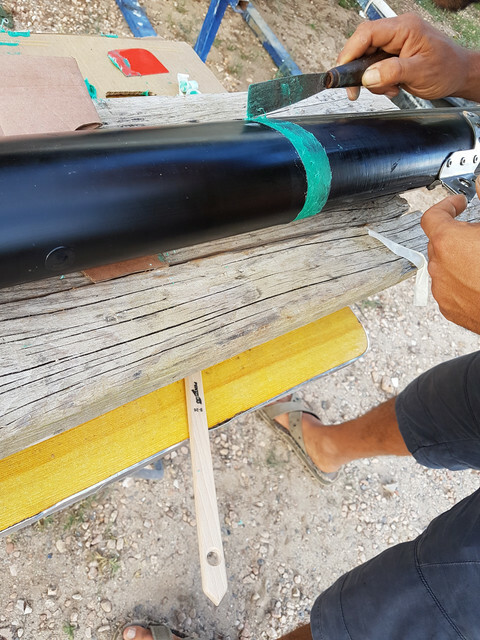 We introduced a wood piece inside the alluminium hole, at the bottom, with the same shape of the comp tip mast base to try to reduce the gap but still not thick enough to make the base of the comp tip rest on it. 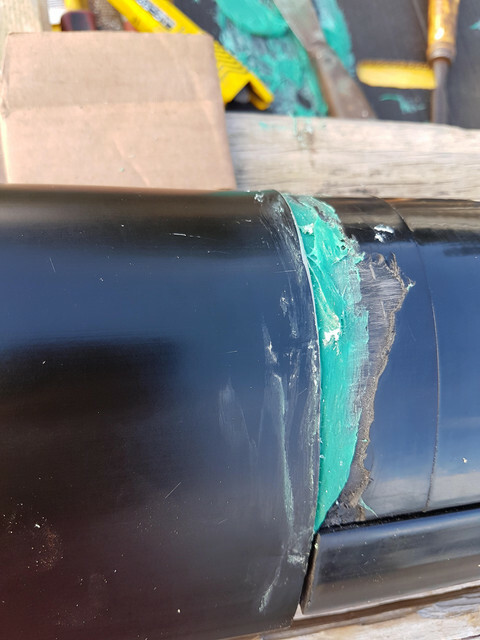 In this way the weight of the comp tip rests on the alluminium mast edge in contact with the reconstructed bondo so it comes off when the mast is in action. 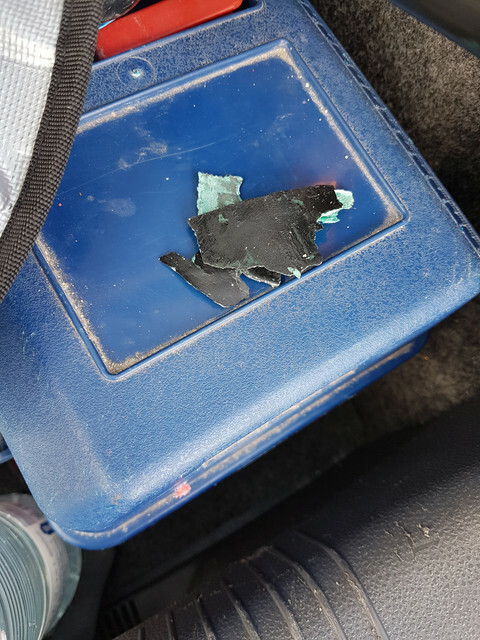 Please could you have a look to the pictures and send any piece of advice. 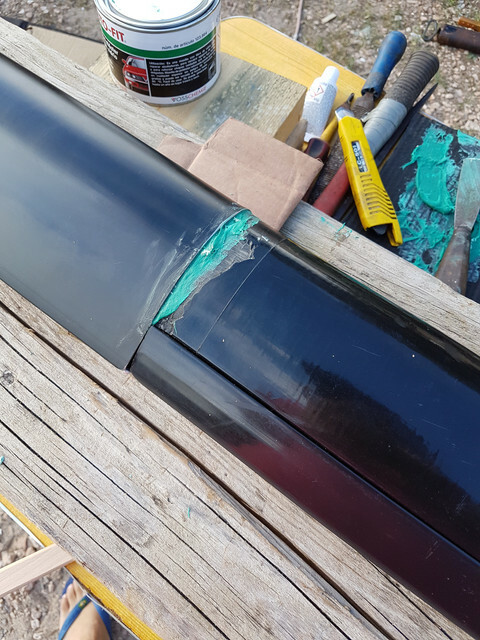 May be trying to make a piece with the exat thickness so the comp tim mast base rest on it without comming off or reconstruct the comp tip so as the alluminium edge is not in contact with the bondo and fill the gap with sica flex that is flexible as somebody suggested in the forum.